A night's stay in a hotel, a VIP lounge, valet parking or a professional car clean  our Luton airport parking upgrades are designed to make your airport experience the best we can. There are loads of upgrades to choose from, so book with us today and tailor your travel plans to make your holiday run smoothly. Whats even better is that all our airport products are covered by our Best Price Guarantee, so you know youre getting the lowest price. How can I make my stay better? You can really upgrade your airport parking booking by adding a nights stay in a Luton airport hotel. This is the best way to ensure you get to the airport on the day of your holiday, relaxed and stress-free. Its the perfect solution if youve got an early flight or if youd just rather not rush. You can make your way to the airport the night before and then wake up close to the airport grounds, refreshed and ready for your journey. After check-in why not relax with a bit of style rather than bother with the crowds and noise of the departure lounge. Escape to a secluded hide-away in the Someries Servisair Lounge Luton Airport where you can enjoy a comfy seat and complimentary drinks and snacks for up to three hours before your flight. Its a much more civilised way to wait for take-off. 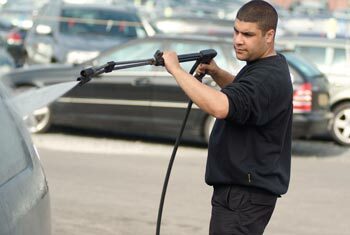 At Airparks Luton, we'll give you the opportunity to add a professional car wash to your booking. While you're away, Airparks staff will be hard at work cleaning your car so you dont have to. Take your pick from either the Bronze, Silver or Gold packages and come home to a glistening car. Worried about hitting traffic on the day of your trip? Worry no more with the Traffic Assistant text message service. You'll get updates direct to your phone covering your route to Luton airport, so you can cunningly avoid any jams or hold-ups and arrive on time without any trouble. They'll be sent up to four hours before your flight, along with shopping discounts to use in duty free. Why pre-book a Luton airport parking upgrade? Pre-booking a parking upgrade is always best practice. It not only saves you money, giving you more to spend in the sun, but it makes your airport experience smoother, easier and far more enjoyable. If you decide to add a hotel stay to your Luton airport parking, pre-booking with HolidayExtras.com® can save you up to a massive 40% on the standard price. Simply by booking ahead youll make a huge saving with no effort, and you wont have to worry about finding a hotel room when you arrive the night before your flight.